Foxstone Industries is an Arizona Web Design and Hosting company serving sites nationwide. We can provide all your Website design needs from domain names, website design, hosting, graphics and animations, logo development, web page content, email, shopping carts, and custom websites applications. Located in the Phoenix, Arizona metropolitan area (Scottsdale), we provide web design and web development for sites all over North America as well as several in South America and Europe. Additionally, our Search Engine Optimization (SEO) services will organize your unique content to target the specific Search Engines of your choice. Foxstone can register your domain name, provide website hosting space, assist you with developing your web page content, develop your custom graphics / animations, and place your website content on the server. Our affordable web hosting plans range from extremely affordable 5 page websites to large multi-page/multi-computer website hosting. Many of our clients already have a hosting provider but need occasional assistance changing or updating their website design. 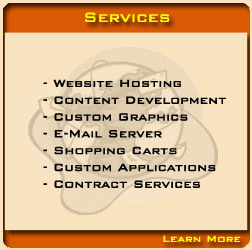 We can update your website design even if your website hosting is with another provider. Our Contract Services extend far beyond website design, hosting and content. Most frequently we are asked to develop custom programs to extend an functionality of existing website content. These extend from custom shopping carts, user profiles, customer mailings, help desk/trouble reports, etc. Our list of capabilities include, but are not limited to server administration, project management, graphics, custom programs, dedicated servers, on-site assistance (Arizona only), to other Internet implementations, we can work for you on a contract/hourly basis. 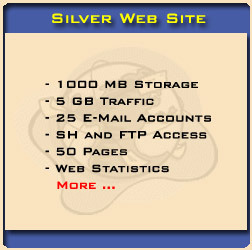 Note: Includes 5 hours of web page content development for Basic Site and 10 hours of web page content development for Silver Site. Monthly recurring hosting fees, domain name registration and additional development hours are extra. © 2019 Foxstone Industries, Inc., All Rights Reserved.